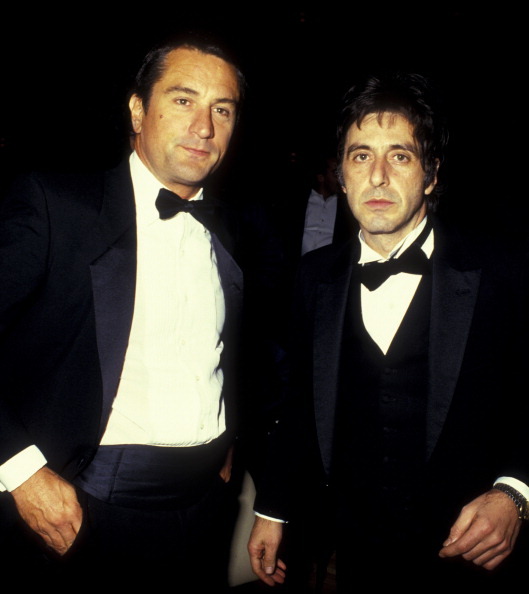 If there are two actors whose names always come up in conversation when discussing the best of all time, then Robert De Niro and Al Pacino are the two. 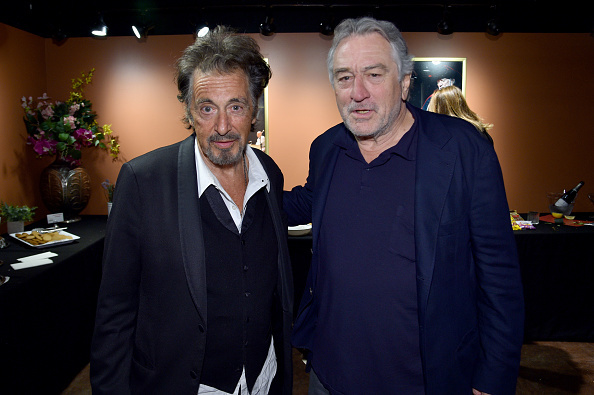 Sure you have Marlon Brando, Jack Nicholson and Humphrey Bogart, but De Niro and Pacino are just as good as anyone else you can mention. When we found out the pair were going to reunite for Martin Scorsese’s The Irishman, we were super hyped and have been keeping our beady eyes on the progress of the film. Finally, set photos have surfaced, showing everybody’s favourite gangsters stepping out together – it looks incredible! The Netflix-produced drama is going to be their biggest film to date – they’ve spent $105 million for the privilege of getting this incredible team together. The film is set to be released in 2019 and as well as the gruesome twosome, the likes of Joe Pesci and Harvey Keitel will also be joining the team. Does this not sound incredible? The flick is based on a book called I Hear You Paint Houses by Charles Brandt and will tell the story of Frank ‘The Irishman’ Sheeran (played by De Niro), a mob hitman who claims to have been involved in the 1975 disappearance of Teamsters boss, Jimmy Hoffa. This is different, I think it is. I admit that there are – you know, Goodfellas and Casino have a certain style that I created for them – it’s on the page in the script actually. Putting Goodfellas together was almost like an afterthought, at times I was kind of rushing, I felt I’d already done it because I’d played it all out in terms of the camera moves and the editing and that sort of thing. The style of the picture, the cuts, the freeze-frames, all of this was planned way in advance, but here it’s a little different. Everything about this project is getting us seriously excited how we’re going to get a gangster film which’ll stand among the greatest in the pantheon of great gangster films. 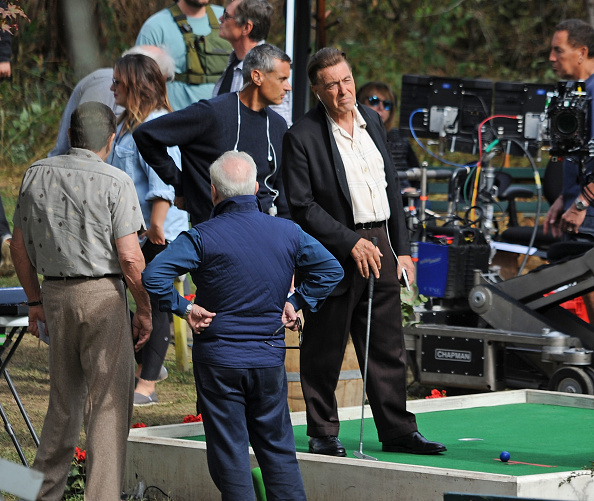 These latest set images of De Niro and Pacino together just whet our appetite that little bit more, even if the platform shoes are absolutely hilarious. It’s this attention to detail which will make The Irishman great. We believe it.